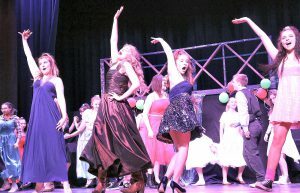 MEXICO – Mexico High School students showcased their incredible talent during the school’s recent “Footloose” musical. The wildly-entertaining scenes captured the attention of attendees in the packed auditorium each night of the show, March 8 to March 10. Here is a fun look at the production. 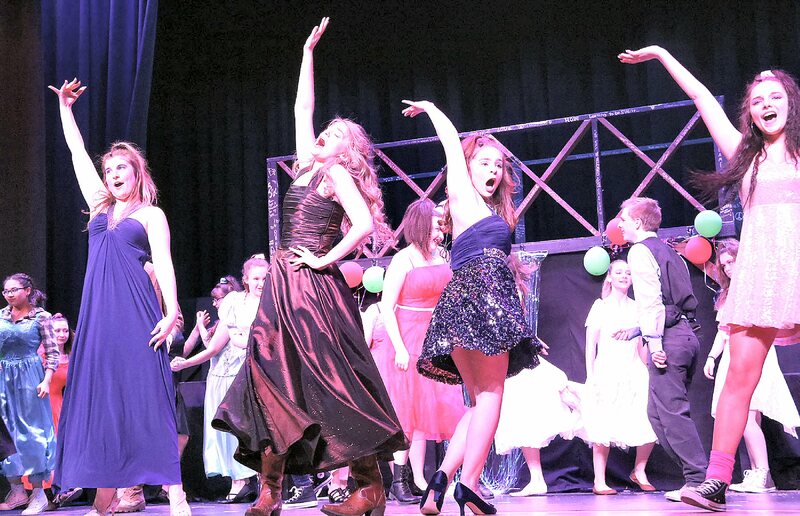 Morgan Rhoads (Rusty), Karlin Twiss (Ariel Moore), Annie McDowell (Urleen) and Christine Seckner (Wendy Jo) cut loose during a recent Mexico High School “Footloose” musical. Josh Washer readies to sing a song during a solo scene as Reverend Shaw Moore in the Mexico High School recent “Footloose” musical.